Memorial table for 40 candles - Istok Church Supplies Corp. 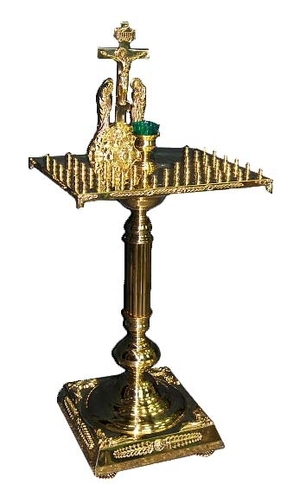 Traditional church memorial (panikhida) table for 40 candles. Brass, casting. Size: 18.5''x22.4''x51.2'' (47x57x130 cm). Size: 18.5''x22.4''x51.2'' (47x57x130 cm).